Having completed all four of my January goals, going to keep it simple for February cos I'm going to be out watching bands a lot. So just a regiment of Orcs with Maces and Shields for me. I think there are 15 of them. If I do get time beyond that, there are some heroes and champions and so on I can work on. Yes! Pictures all present and correct. Interesting set piece Padre. Cant wait to see more / it in action! 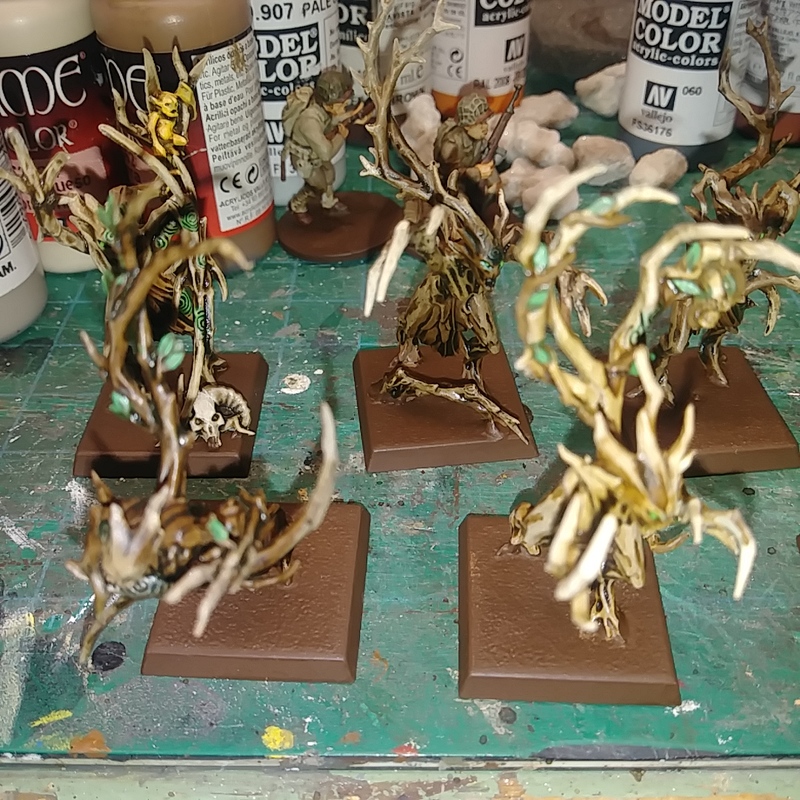 I managed to glue my blood dragon vampires on foot based on corsairs. Also glued my converted mounted chaos lord, and my 3 high elf drake riders. I'm late in finalizing the tally for January, and starting the February tally, and will get back to this soon! 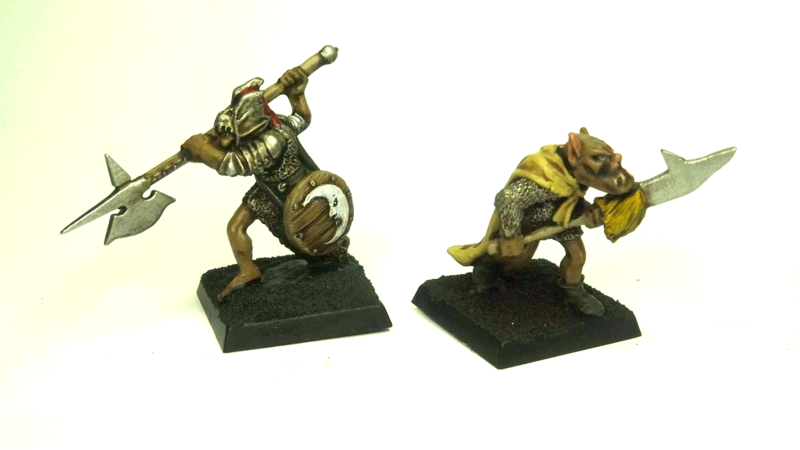 February going well with Boonwheel completed and entered today and the bonus of 3 space marines also being finished. Next target date is 23rd. 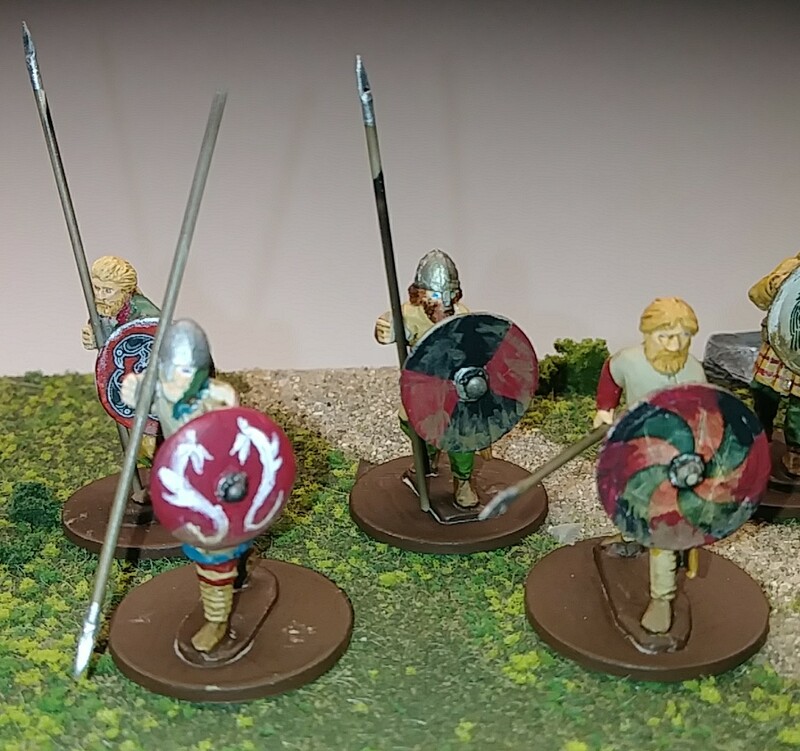 023 ... did you finish your sea elf archers? I can't recall and couldn't find it. Finished reviewing composition of Late Persian army for Impetus, and irritated it is at 301 points. We have a 300 point limit, and although folks won't care over one point, it still has me flumoxed. MDF building is mostly done, some dry brushing and then finish construction. For February ... 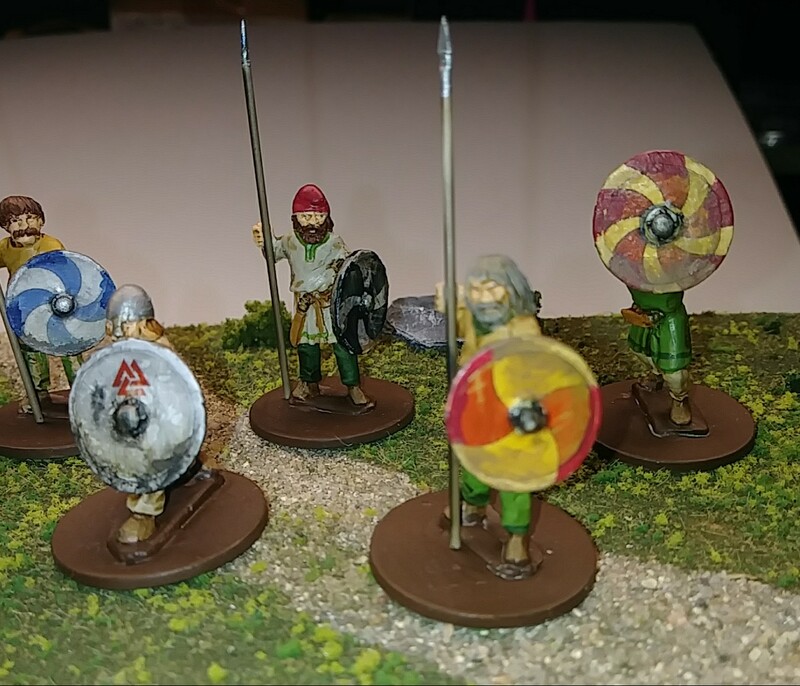 Going to finish the MDF building and figure out which Persian cavalry I'm going to paint. 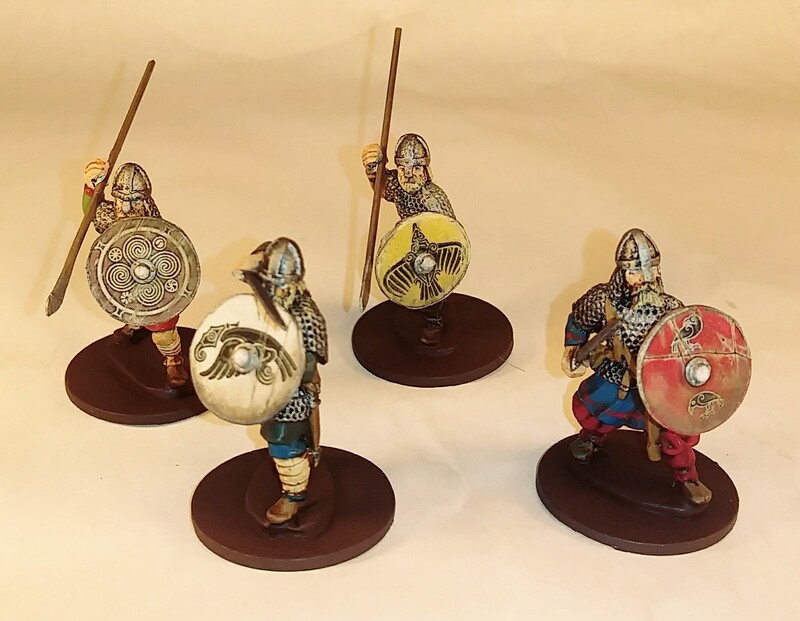 I need to really focus on getting Persians painted between now and May! 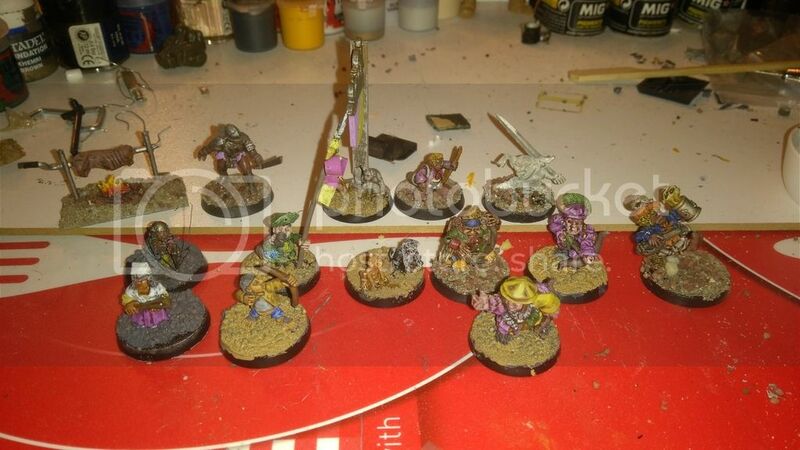 023 ... 10 sea elf archers and oldschool bolter & crew part. 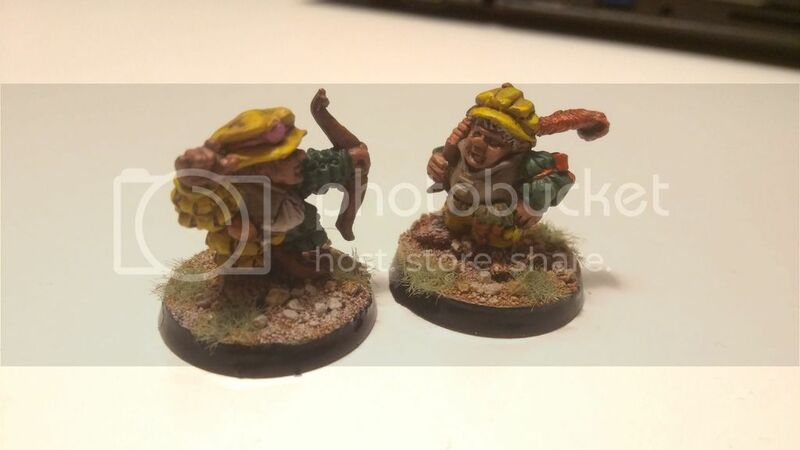 Novogord ... finish 8 Old Orlock Gang, 1 dryad, and 2 halfling archers. 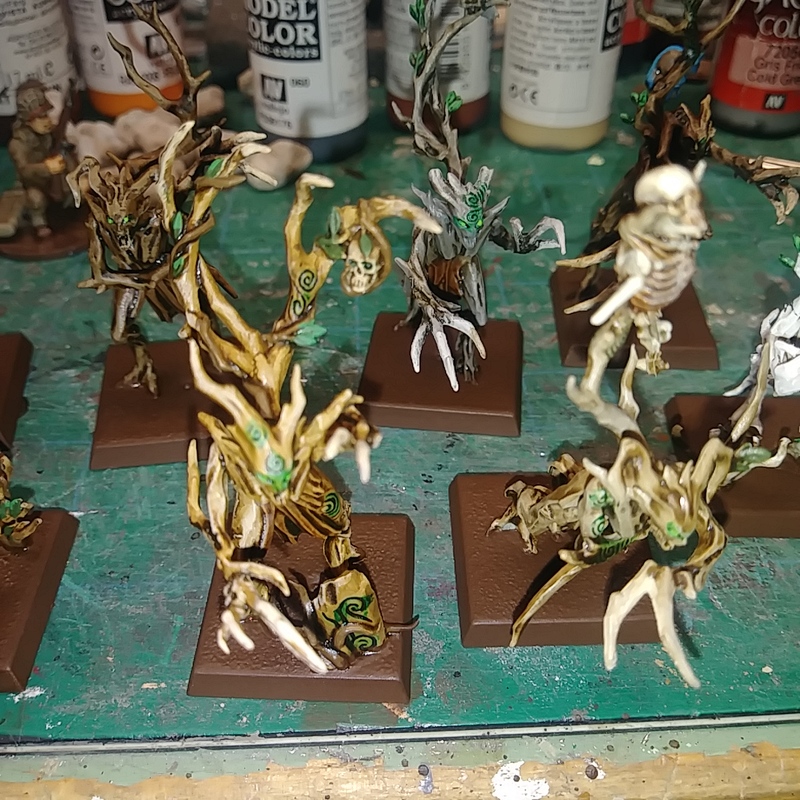 Borderguy ... 12 Dryads, 8 Hearth Guard, finish 1 CFM mdf building. 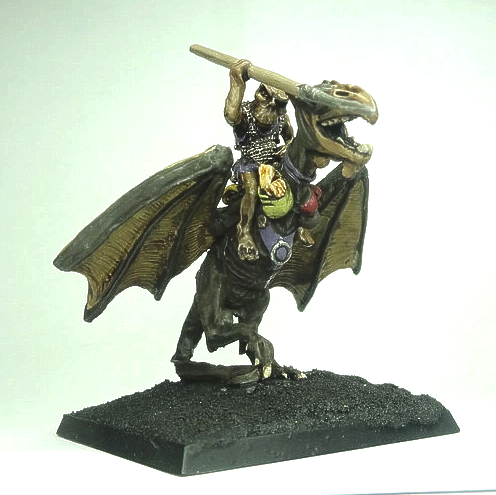 Warlord ... glue blood dragon vampires on foot, glued converted mounted chaos lord and 3 high elf drake riders. JAK ... 1 of 2 units to be completed and entered on 9th and 23rd Feb, Boomwheel. 023 ... 5 scouts and a chariot, 5 bog zombies. 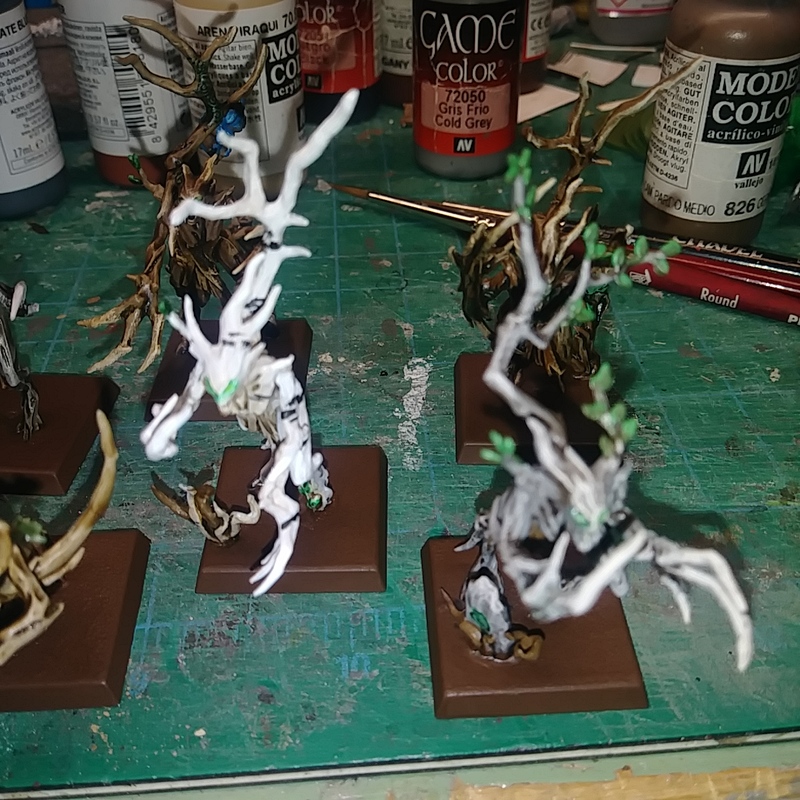 Gankom ... finish 3 stormcast, 2 nighthaunts, 2 beastmen. 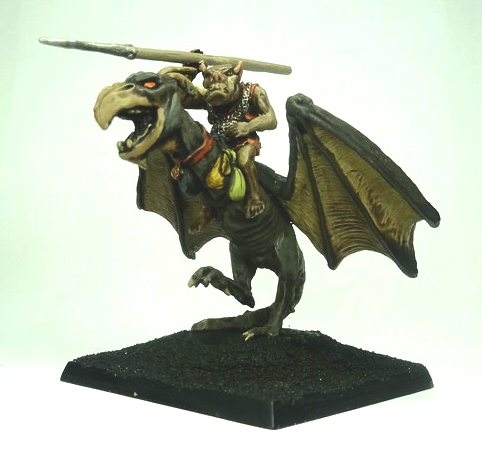 Novogord ... last of halfling warband. Shadespyre ... 15 Orcs with Maces and Shields, maybe heroes and champions. Warlord ... maybe 3 zombie ogres. Looks like this is coming together! Wondering what's that knight figure on the back left near the roasting pit is? Ah! From what I can see it looks cool. 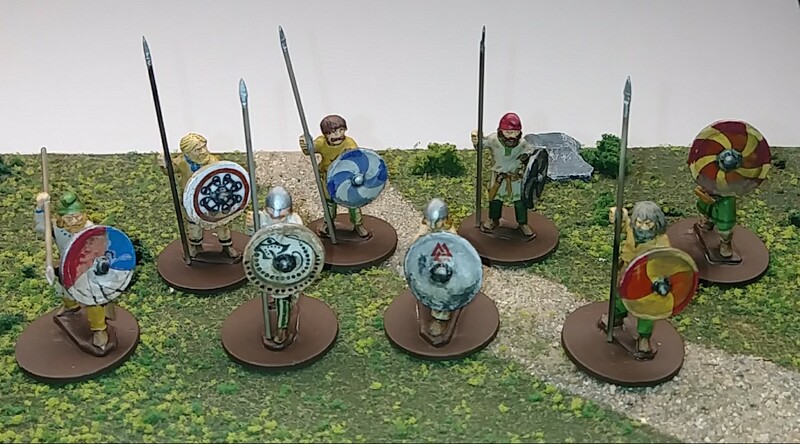 So today I glued 15 knights that I had been putting off for years. 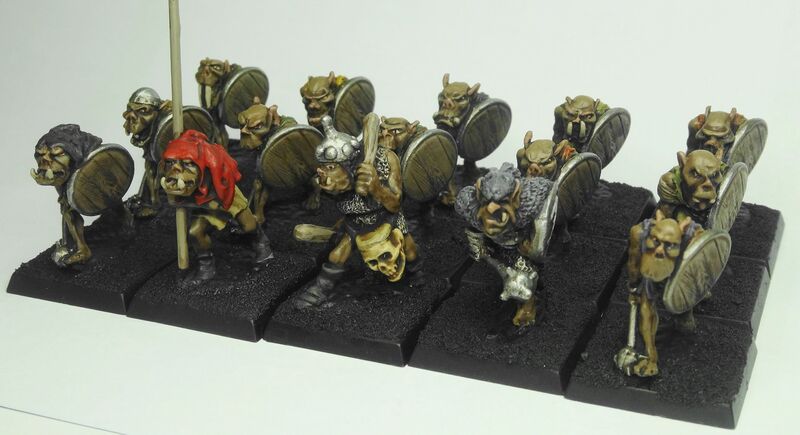 I also intend to glue 10 more orcs with hand weapon and iron fist, and convert 4 black orcs to have great weapons. Zombie ogres may get deprioritised to next month. detailed up a bloodthirster i picked up used for just under $50 US. Didn't get to choose the build, but the money saved is worth it. Ignore the pup's chair in the background lol, she loves that thing. Fantastic work everyone! Everything looks freaking awesome! I haven't touched my brushes since mid January. I just crossed the room to touch a brush. Does that make me better than you, Gankom? Or weird? I suspect the latter! February's goals completed... and then some more!! 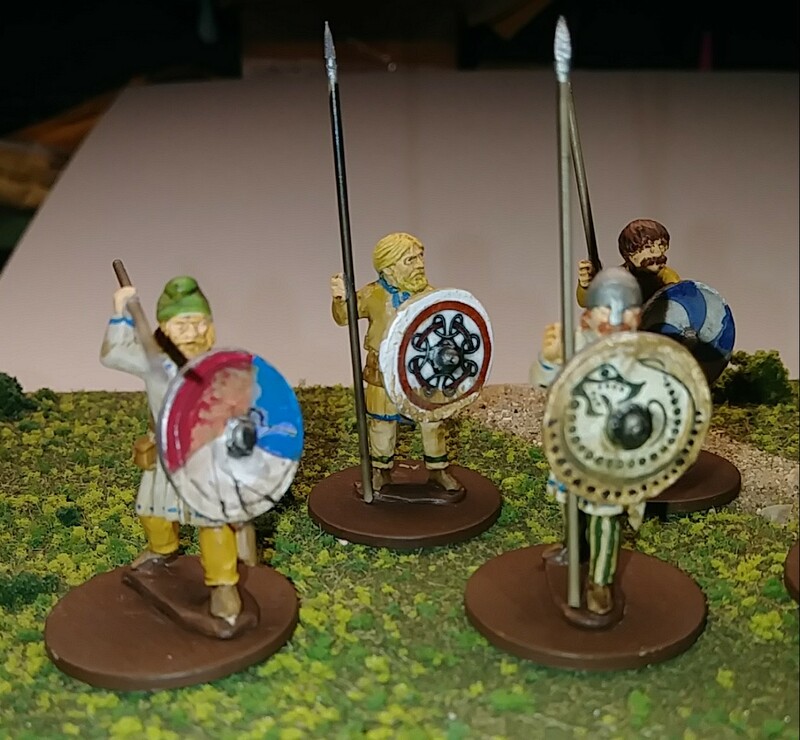 I got out some Wargames Factory Persian cavalry that I'd started on a ways back. 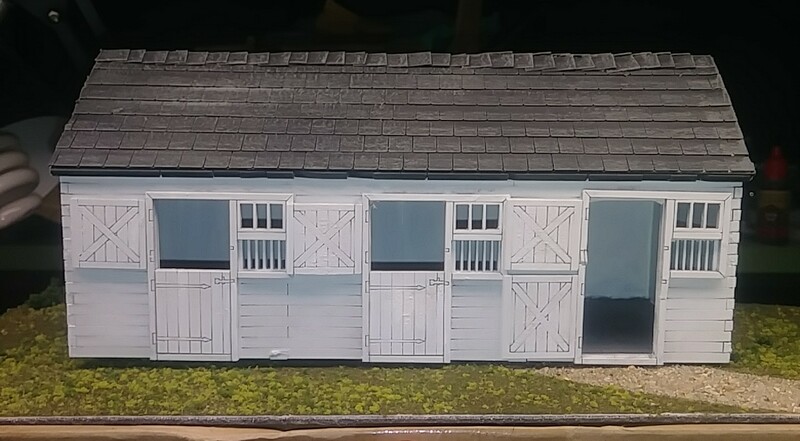 The horses are already constructed and need to match riders to them next, plus base coat the horses and riders to begin the painting process. Posting here slipped my mind somehow. I met my January goals and set February goals. 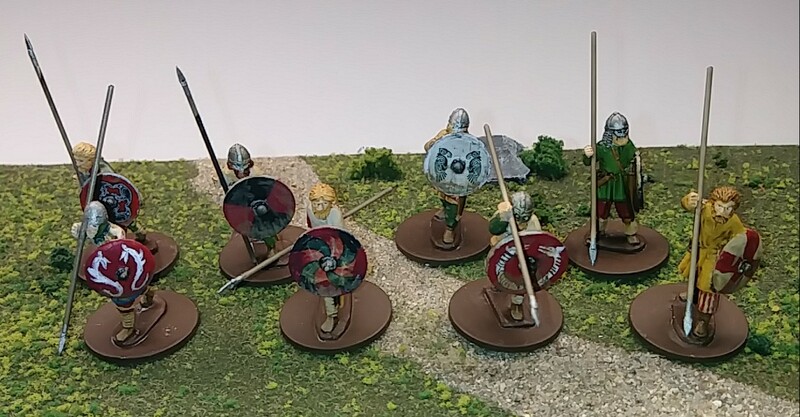 For February I planned to paint 10 Wood Elf War Dancers, 8 Viking Warriors and 8 Anglo-Saxon Warriors. 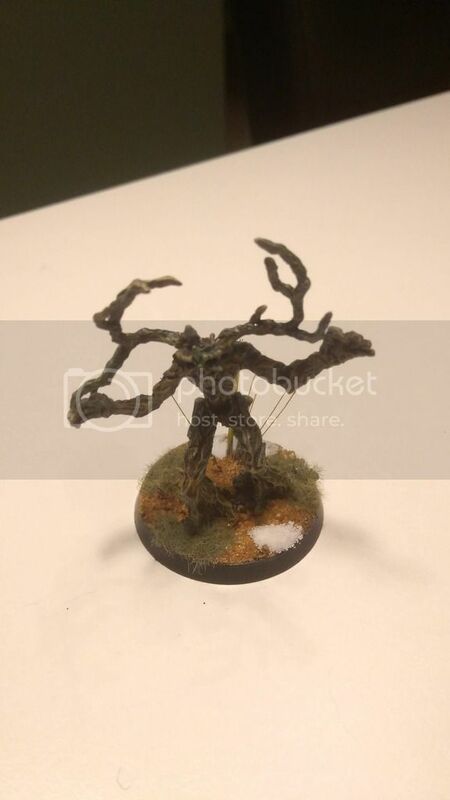 I am also converting a Reaper Wood Elf druid into a Elf mage a friends daughter drew for her EnD character. I've been painting, promise! I just am posting on three forums and this one got missed. I picked up a brush and chipped away at some stormcast! Huzzah! I am participating, finally. Your going to be at Huzzah! 2019 I'm planning to be in attendance as well. Congrats on the brush chipping! 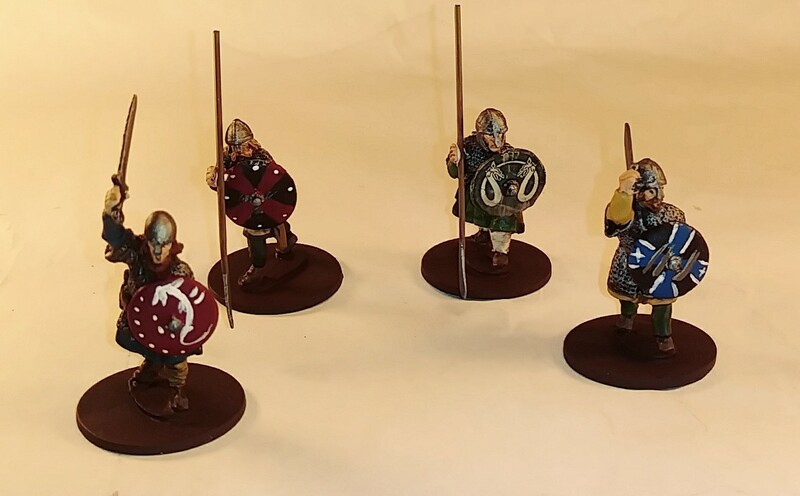 First 2 units from February's goals: Anglo-Saxon and Viking warriors for Saga. Pics of the War Dancers tomorrow. They were still drying from a matte coat. Borderguy ... I went back up to the final January update and edited the post to bold your completions for that month, and then added your goals in bold for this month too, congrats! 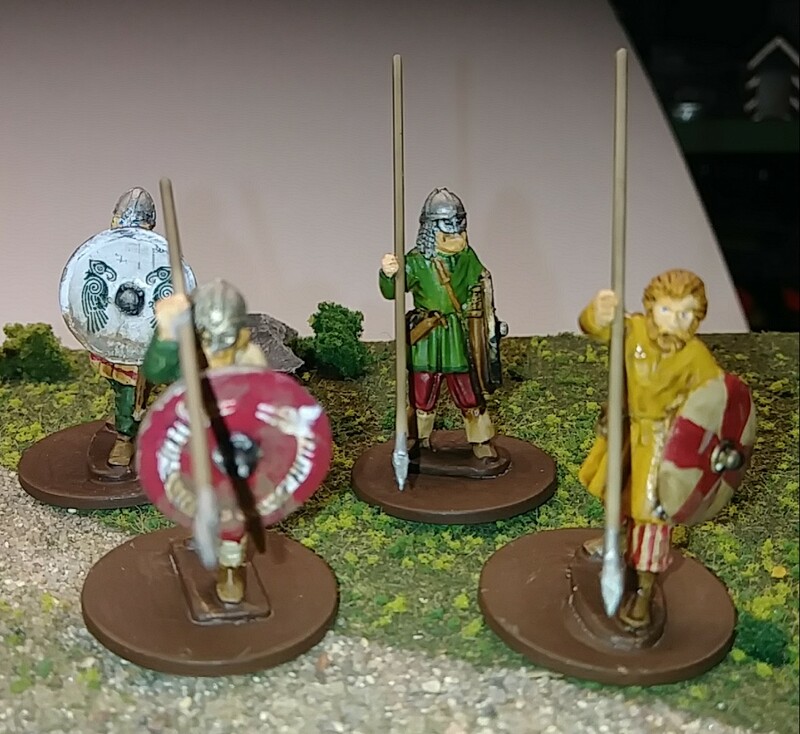 Borderguy ... 8 Saxons and 8 Vikings.